Tarot— Not Just for Fortune-Telling! If you think of “fortune telling” when you hear the word, Tarot, then you’re in for a treat. Tarot is not just for fortune telling. It’s a powerful tool for meditation, personal growth and development, spiritual and magickal practice, and making sense of the here and now. I think my spiritual practice really got serious when I was given my first Tarot deck, the Dragon Tarot, when I was twelve. The deck gave me a tool to help me understand, accept, and deal with events and people in the chaos of my teenage life. Every day I would meditate with the cards. I didn’t realize that what I was doing was meditation, but I did realize that all the crazy faded away when I took out the cards and focused on just one at a time. 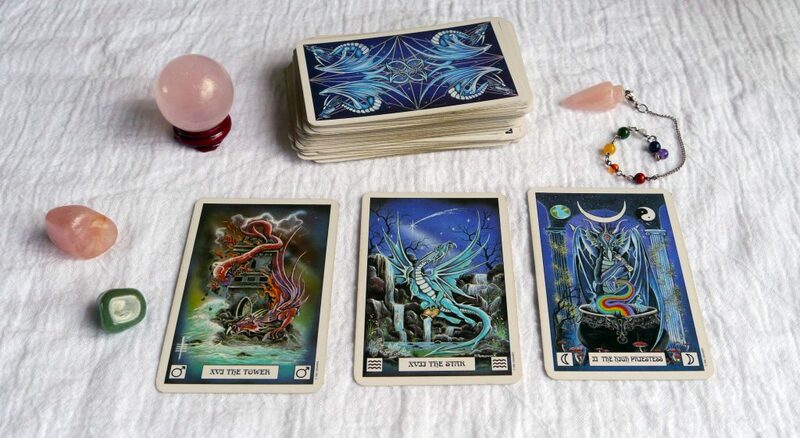 The Dragon Tarot was my first deck ever. I’ve worked with it since I was twelve, and to this day it’s still a favorite. 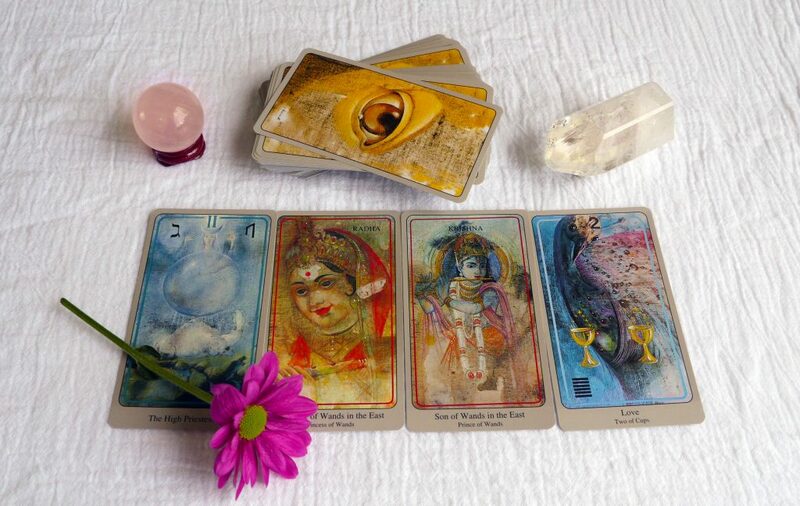 Tarot is an awesome tool for meditation. If you’ve read any of my other posts, you’ll know how important I believe meditation is. If you pick one card out of the deck and just focus on it for a few minutes, you’ll start to become aware of thoughts and feelings that the images bring up. You can observe these thoughts, and gain insights about your state of mind. If you’re trying to change your state of mind, pick a card that embodies what you’re trying to achieve, and focus on that card. Do you want to feel joy and love? Use the Ace of Hearts and feel your heart overflowing with love. Need help with body image issues? Try the Empress. Are you going through a rough patch? Meditate on Strength, or The Star, or a card that brings you serenity. Shadow work deserves its own blog post or several. But, it’s worth mentioning that tarot can be an invaluable ally when you’re facing your shadowy aspects. Are there cards that you cringe when you see? Are there cards that fill you with dread when they fall out of the deck? For me, the Three of Swords made me want to scream, throw the deck across the room, and go hide in a corner. It was usually accompanied by The Tower. Then I examined why I was so resistant to these cards. I realized I had some patterns that were not helpful to what I wanted out of life. Once I brought attention to those areas, I changed my habits and brought about better situations. Without the cards, it might have taken me a lot longer to identify problem areas. Cleansing my Fantastical Tarot deck with some crystals. If there’s a card that you just don’t like, it’s probably because it represents an aspect of you that you’ve repressed somehow. Shadow work is all about bringing those dark scary things into the light and making peace with them. Tarot can help us find those dark corners of our being where we stuff parts of ourselves away. I don’t have to tell you that journaling is a great practice that can be really good for you. But, what if you never know what to write? What if the thought of trying to write about your day just makes you roll your eyes? Try this: pull a card from the deck and write about that card. Maybe you just write down what it means to you. Or, you write a story about a figure in the card and what she’s going through. Perhaps an astrological symbol on the card draws your attention and you end up writing about Jupiter. Maybe you write a dialog with the card. If you interviewed it, what would it say to you and what would you ask? 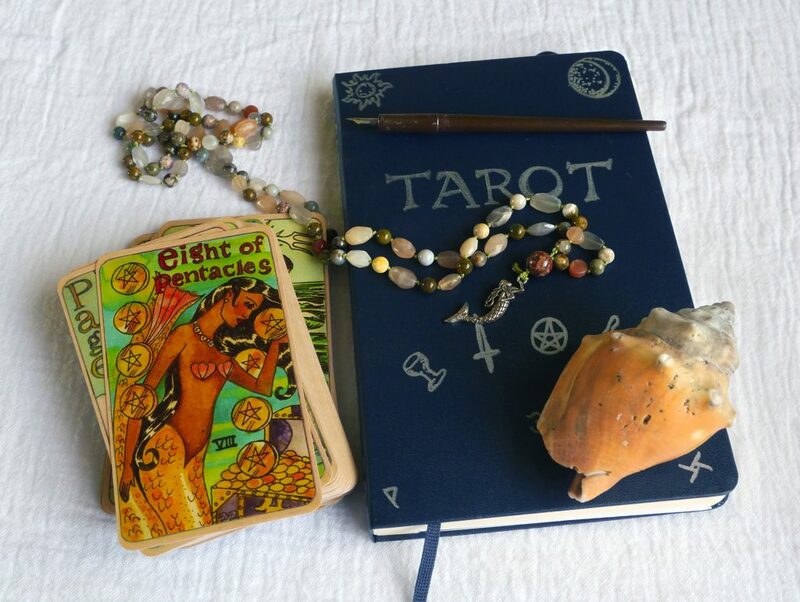 Dame Darcy’s Mermaid Tarot with my Tarot journal. The Mermaid papa mala was a gift from a friend. A journal dedicated to tarot work is also a great idea for recording meditations, readings, and any insights you get from the cards. The future is overrated. Use tarot to divine right now. You can do a reading to discover the area in your life that needs immediate attention. Use the cards to help you make a choice between equally good opportunities. Tarot can help you understand what you really want in a situation if you’re unsure about what to do. In fact, one of the most powerful uses of tarot is to help you see what you need to do RIGHT NOW in order to create the best possible future. You can even use the cards to answer immediate, yes/no questions, then pull a follow-up card for a little more insight. The more you use the cards, the more in tune you will become with their associations, archetypes, and symbols. Different decks will also have different associations. My Haindl deck is very different from my mini Rider-Waite-Smith deck, but sometimes I use both to get a layered understanding of a subject. No matter the deck, you will realize that you start identifying cards with aspects of your everyday life. After a while, you will begin to notice that people or situations will remind you of a certain card. Maybe your sister is acting very Queen of Wands lately, or your friend’s situation is looking like The Tower. When you recognize these archetypes and have a clear reference for them, you will understand what other people are going through. Then, you will see beyond the present moment to the larger context and will know the best way for you to respond. The Haindl Tarot. 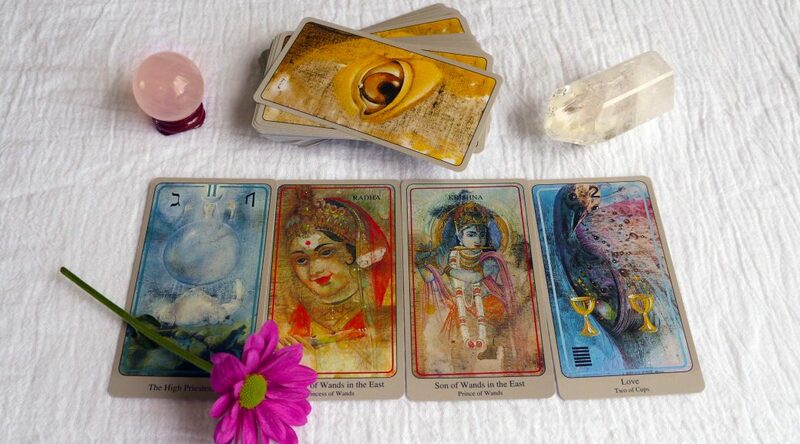 These four cards represent my spiritual path and desires. When you have this level of perspective, you can be a better friend, sister, brother, parent, lover, and person in general. Tarot can help you develop a more transcendental understanding of life so that even when you’re in the middle of a crisis, you’ll be able to see a way beyond it. No matter how long you work with Tarot, there will always be something to learn. You will always have the opportunity for deeper insight with a card or groups of cards. Some of the interpretations of the cards I’ve read in books like Seventy-Eight Degrees of Wisdom amaze me and have a profound effect on my understanding. Studying tarot has opened up so many other areas of my life, as I talk about in this post about The Fool. There are hundreds and hundreds of decks out there to choose from. 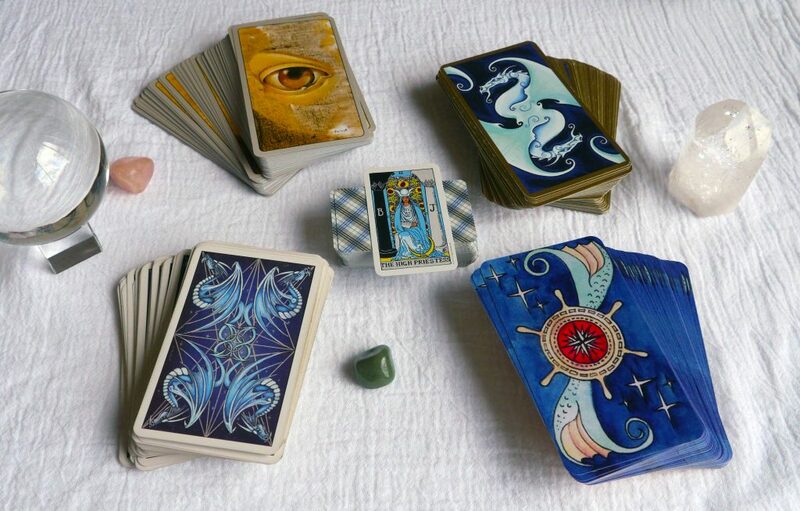 Some of the ones I own are the Dragon Tarot , The Haindl Tarot , Fantastical Tarot (this one is out of print, so it’s pricey), Dame Darcy’s Mermaid Tarot, and a mini Rider-Waite-Smith deck. Choose a deck that speaks to you. 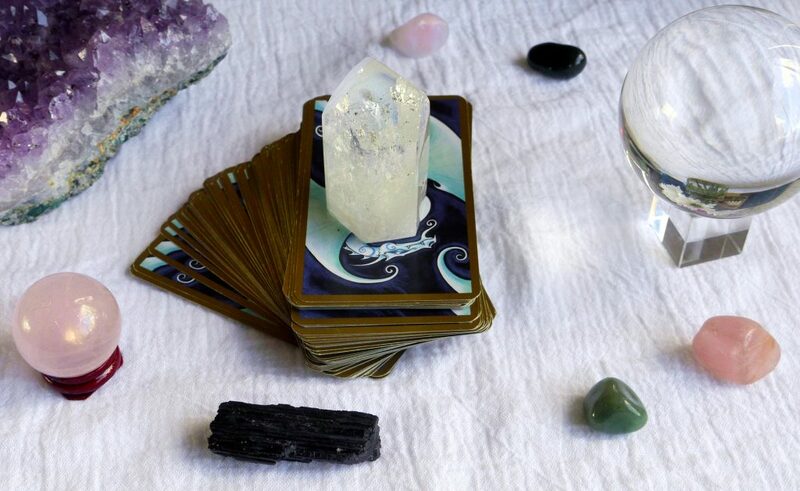 It doesn’t matter if you ever read for other people or if you just use the Tarot as part of your own personal practice because it will be a profound source of knowledge and a connection to your higher self. This post contains affiliate links, which means that if you click on one of the product links and buy something, I may receive a small commission. Travel Altars for Magick on the Go! nice website, keep on writing.. Subscribe to the mailing list and get magical stuff and updates to your email inbox.